The chapter is focused on the initiatives Benetton has implemented in order to keep up with competitors in the context of the apparel industry from 1990s until nowadays. The most remarkable transformations in Benetton's strategy are the shift from an Italian network of suppliers to a global one and the series of initiatives put into practice to align with fast fashion principles, such as the implementation of a dual supply chain and the transition from a franchising strategy to directly owned megastores. With regards to fast fashion, a comparison with Zara is presented. The aim of the chapter is to provide a complete view of Benetton's evolution, showing its responses to the changes in the apparel industry, in particular in the context of fast fashion. Many companies in the fashion industry have a network organization because this allows them to be flexible and responsive, and to take advantage of the experience and capabilities of their external suppliers (Chesbrough & Teece, 2002). At the same time, outsourcing the majority of productive activities forces companies to put into practice initiatives aimed at aligning processes that see the active involvement of many actors both upstream and downstream along the supply chain (Christopher et al, 2004). Since every firm tries to maximize its own best interests, this alignment is a hard task to accomplish. However, the development of relationships based on collaboration and the involvement of suppliers in process design are amongst the initiatives that a company can implement to pursue such alignment in its supply chain (Lee, 2004). Many companies have come to the realization that outsourcing, even when alignment takes place, can increase their dependence on suppliers to an unacceptable degree and therefore that activities providing competitive advantage should be performed internally (Chesbrough & Teece, 2002). Moreover, large firms can obtain cost advantages from economies of scale when they decide to perform certain activities internally (Christopher et al, 2004). Within this context, vertical integration can provide many advantages to large firms operating in the fashion industry. Activities characterized by high added value such as design and R&D should be performed in-house in order to maintain tight control over the sources of competitive advantage (Camuffo et al, 2001a). Similarly, other activities such as dyeing, cutting, labelling and packaging allow companies to increase efficiency when carried out internally (Christopher et al, 2004). Finally, vertical downstream integration provides companies with up-to-date information about customers’ tastes and allows them to increase their market responsiveness. These initiatives have determined the success of several fast fashion companies such as Zara and Benetton. Concerning the latter, which is the main focus of this chapter, it is interesting to highlight that over time the Italian company has showed remarkable adaptability in this respect. The company has radically changed its configuration as a network organization, both upstream and downstream, in order to perform some activities internally, thereby increasing control over them and thus improving its competitiveness (Camuffo et al, 2001a). This is particularly evident if we consider the company’s shift from franchising to directly owned megastores in its retail strategy. Adaptable companies are able to change the configuration of their supply chain to better adapt to market changes (Lee, 2004). As fast fashion became the dominant paradigm in the ready-to-wear market over the last decade, Benetton showed its ability to be particularly adaptable by transforming its supply chain in order to better satisfy customers’ needs and to stay competitive. The current fashion trend in the ready-to-wear market requires companies to be able to produce trendy products but at a relatively low cost. The need to keep prices, and therefore costs, relatively low is forcing firms to take full advantage of the benefits that globalization entails. For example, many companies increasingly outsource activities to Asian or Eastern European suppliers or they relocate production abroad by means of offshoring in order to fully reap the benefits stemming from the relatively lower cost of labor in those locations (Camuffo et al, 2001b). This strategy is particularly appropriate for the ready-to-wear industry, as many products can be produced very easily even in countries where qualified workforce might be scarce. However, spreading the production on a global basis can reduce firms’ flexibility, decrease the quality of the final products and expose famous companies to situations that are detrimental to their reputation (Christopher et al, 2004). Despite these possible problems, many companies operating in the fashion industry manufacture their items abroad, since cost advantages for simple products, like clothes, tend to outweigh the risks and uncertainties of production abroad. 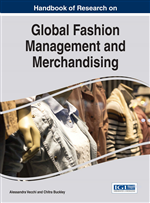 The phenomena of networking, integration and globalization characterize the fashion industry in general and this chapter will show how they are linked to Benetton’s evolution.